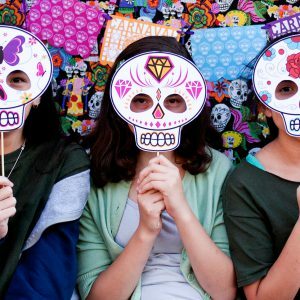 View cart “Dia de los Muertos Pennant Banner” has been added to your cart. 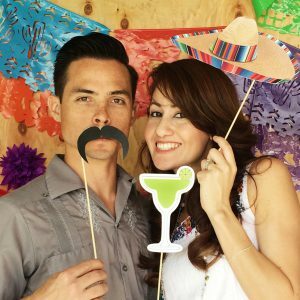 Be fluent in Spanish, just for a day. 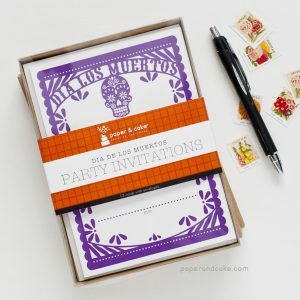 A dozen colorful Day of the Dead party invitations. 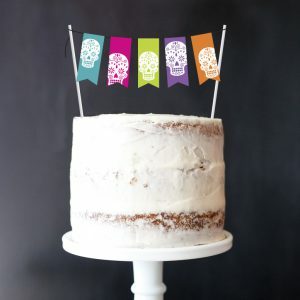 A ready-to-use cake topper in bright festive colors. 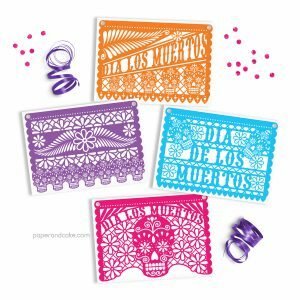 A ready-to-hang papel picado style pennant banner. Honor the dead, just for a day. 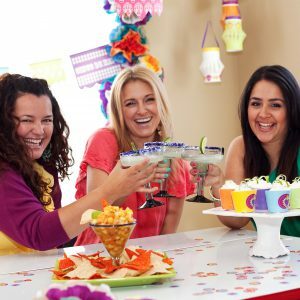 A festive collection in bright hues is the perfect backdrop for nachos and margaritas.